We got a soymilk maker! We’ve been thinking about getting one for quite a while then one day recently I finally did the math and figured (conservatively) that with the cost savings of making soy milk ourselves vs. buying it at the store, the soy milk maker would pay for itself in around 8 months. Darlene just put up a post on her blog with more info and a recipe for using up some of the okara (soybean pulp filtered from the soy milk). 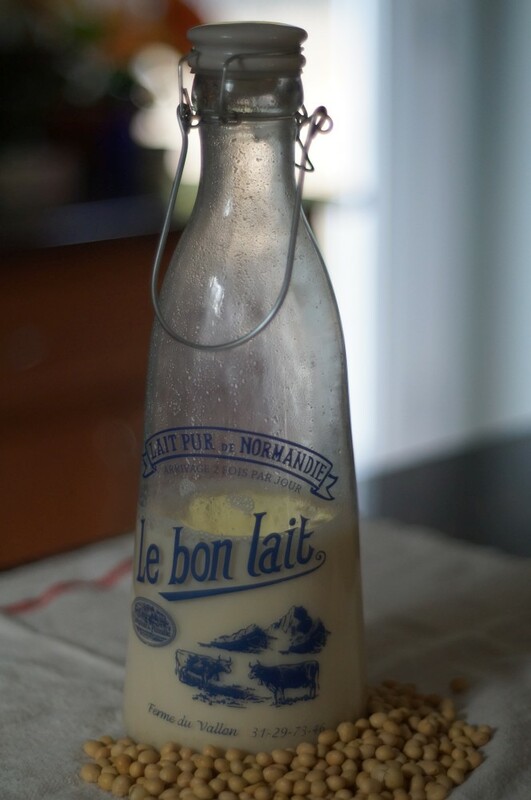 For storing our non-dairy milks we got these glass bottles at World Market that say “Le bon lait”, which is French for “good milk” and I love that our good milk doesn’t come from cows.